The pet of the week is Ginger. 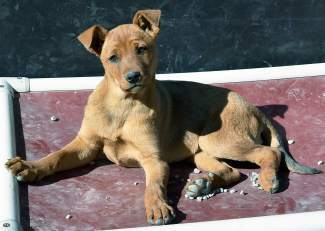 She is a 3-month-old spayed female Australian Cattle dog mix. She is dog social and loves people. She definitely holds her own in the play yard and is great at learning lessons from other dogs. She is a quick learner and will pick up on obedience training quickly. Sheâs working on potty training, isnât totally there yet. This puppy will make a great addition to any home!